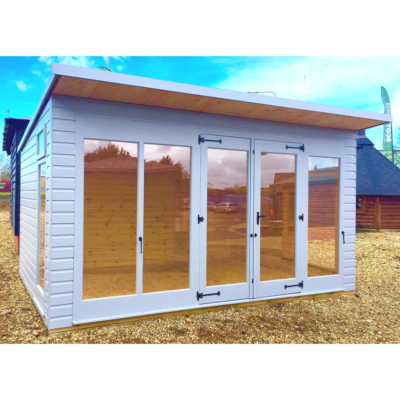 Why not add an extra living and entertaining space to your garden with our fabulous new range of summerhouses, they are fitted with attractive handmade double doors featuring quality ornate hinges, there are six pane Georgian fixed windows to make it feel light and airy. 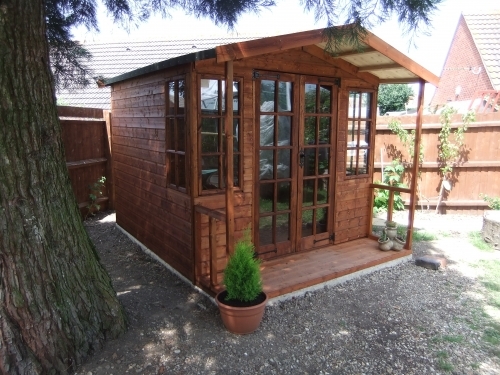 Our summerhouses can also be made in larger or smaller sizes, please call the office for a quotation. 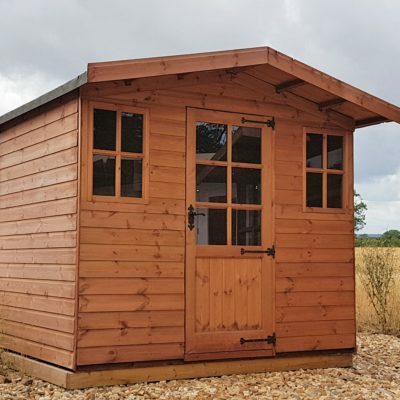 Illustrated is our 6′ x 8′ Heavy Duty Kelmarsh with a 4 foot verandah (left) and an 8′ x 8′ Shiplap Kelmarsh with 2 foot vwrandah (right). 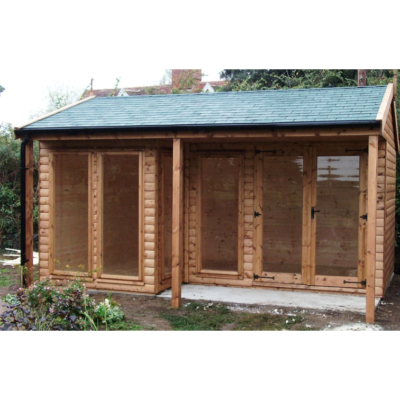 These can also be manufactured in Loglap and Heavy duty please contact us for prices. 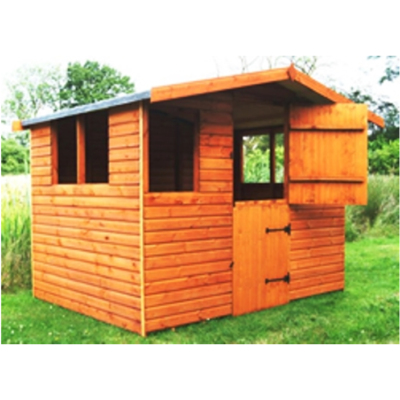 All prices include Treatment VAT, delivery and assembly.